Coated in a variety of health supportive spices and roasted to perfection, you’ll probably end up popping quite a few of these in your mouth before you put them on your salad. You can cook them longer for an even drier, crispier texture, however, I prefer this sort of in-between state, when they are still a bit soft in the center. 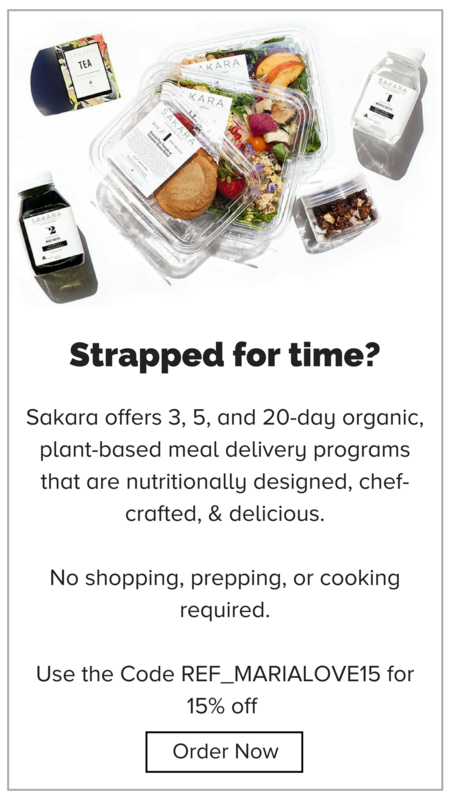 Chickpeas: A delicious plant-based protein that is particularly beneficial for digestive health…they contain up to 75% insoluble fiber, so that what goes in, will come out if you catch my drift. If you’re feeling a little backed up, try adding more chickpeas to your diet. Turmeric: One of the most studied spices, turmeric is noted in numerous scientific studies to show anti-inflammatory, antiviral, antibacterial, and anticancer activity. Cumin: Cumin not only adds flavor, it supports healthy digestion. 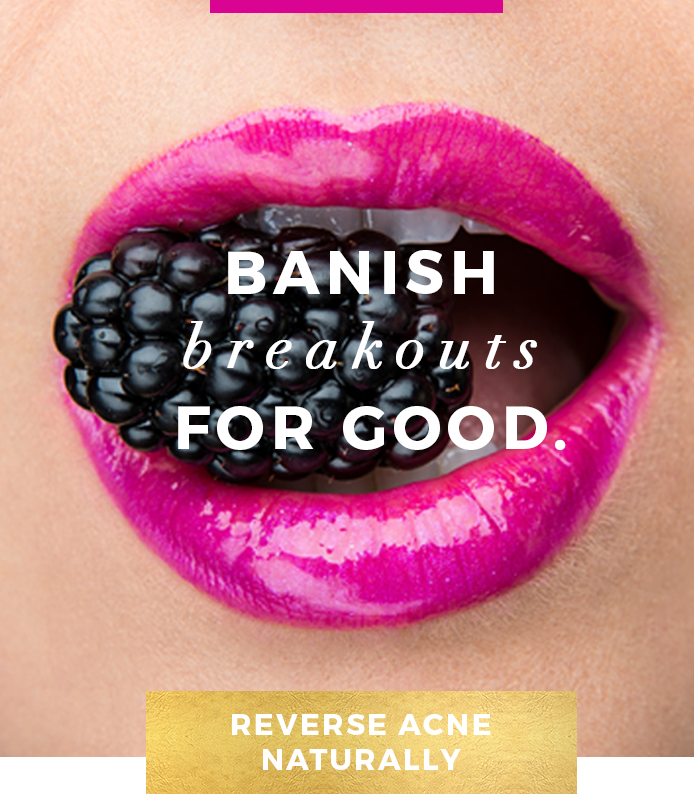 It contains a variety of potent antioxidants as well as iron. Paprika: While made from a pepper, paprika is more sweet than spicy. and provides over 20% of your daily Vitamin A needs per teaspoon. Cayenne: Any sort of hot chile pepper, including cayenne, supports the metabolism and may aid in fat burn. 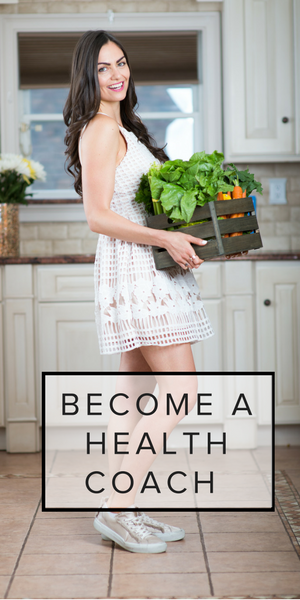 Interested in the health benefits of foods? You’ll likely LOVE my Ultimate Grocery Store Guide, which not only provides the key benefits of dozens of spices and vegetables, it teaches you how to choose the best tasting and most nutritious varieties of each! 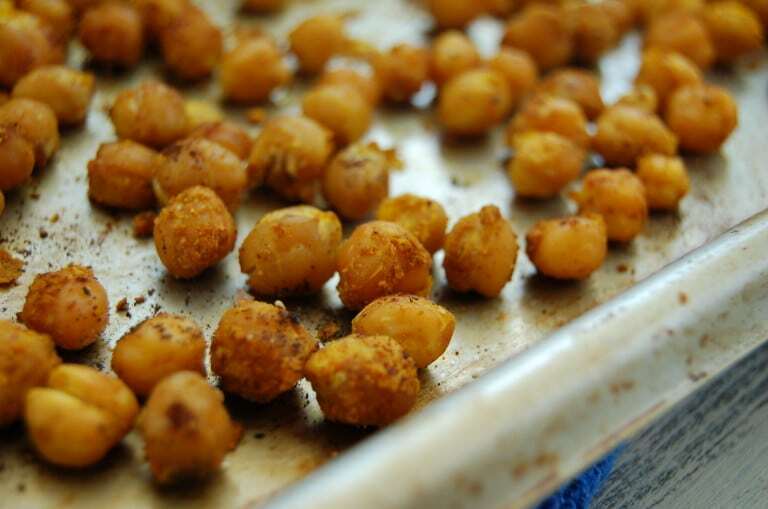 Spicy, savory roasted chickpeas, perfect to use as a more nutritious replacement for croutons. 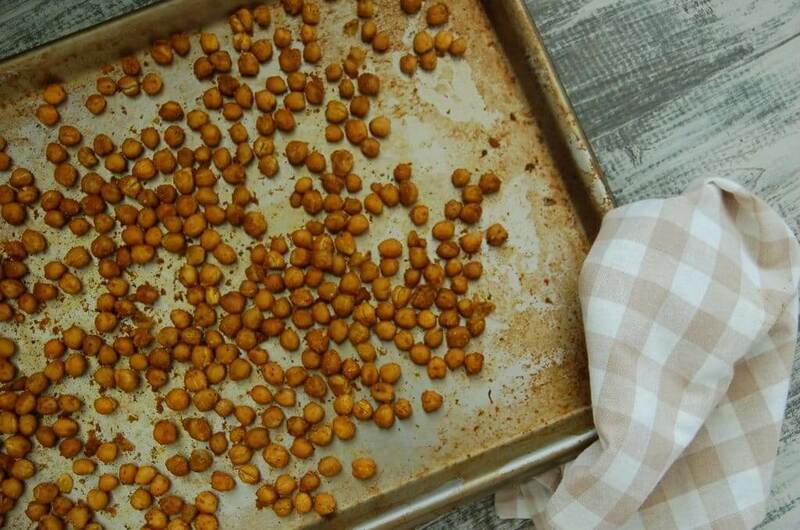 Lay chickpeas out flat on a baking sheet. Bake for 20 minutes, give the pan a shake to move everything around, then bake for another 10-15 minutes. You can pre-make a large batch of these and use throughout the week. Store in an airtight container in the fridge. Hi! I’m loving everything about you and your program! Can’t wait to begin. I happen to have about 15 lbs to lose, but I know the program isn’t just a weight loss diet. I was wondering what if someone doesn’t want to lose weight, but just get healthy; is there a difference in foods? I’m sure the program promotes weight loss, but if for example I did it with my sister who is very thin, would we follow the same regimen as we have different goals? Thanks! Hi Daniela, thanks for the kind words! I’m so glad you’re excited to start! You’re correct, the program instills healthy eating habits, that have the added side effect of weight-loss. 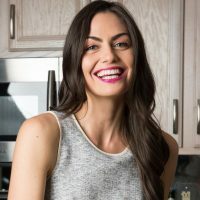 Unlike most weight loss programs, instead of focusing on calorie restriction, we focus on the quality of calories which makes a huge difference, and makes it suitable for everyone, regardless of weight loss goals.The best part of this way of eating is that when you reach your ideal weight, as long as you keep up the habits, you’ll maintain it. 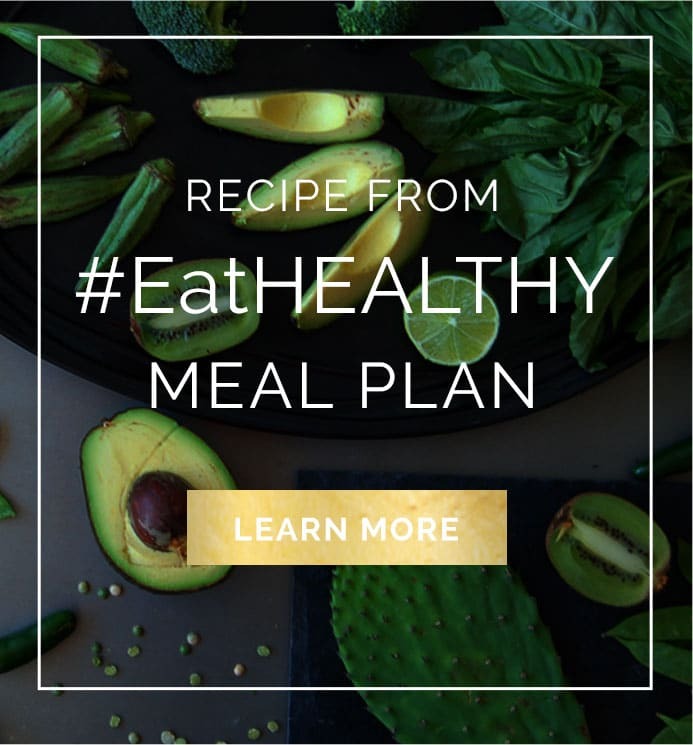 So for someone who doesn’t have weight to lose, the program will help them upgrade their eating habits to feel healthier overall, while maintaining a healthy weight. Hope this helps!